Our Great Lakes are at risk, facing threats such as invasive species, pollution, and failing water infrastructure. We need strong policies in place to keep our lakes safe. Our water is worth protecting. Take action and sign today! I am writing today to urge you to support the Alliance for the Great Lakes' 2019 Federal Policy Priorities (www.GreatLakes.org/2019FederalPriorities). 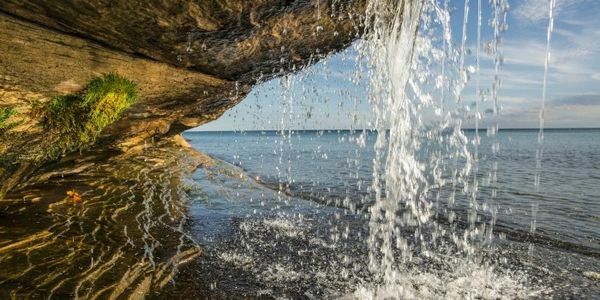 The Great Lakes face many threats. And each of these policy priorities can have an immediate positive impact on the Great Lakes and the tens of millions of people who call the region home. - Prevent Asian carp from reaching the Great Lakes by 1) providing $3.8 million in federal funds in FY20 for the federal portion of preconstruction, engineering, and design (PED) for the Brandon Road project; 2) authorizing full federal funding for construction of structural measures at Brandon Road, a logical choke point to stop Asian carp from reaching Lake Michigan; 3) immediately implementing navigation protocols to dislodge entrained fish from barge tows moving upbound (toward Lake Michigan) through the Brandon Road Lock; and 4) supporting the investigation into additional control technologies, such as an Aquatic Invasive Species Treatment Lock. This work should be completed simultaneously with, and not divert resources from, implementation of measures at Brandon Road. - Invest to improve outdated and failing drinking water infrastructure and ensure access to safe, affordable drinking water by 1) providing at least $3.5 billion to the Drinking Water State Revolving Fund (SRF); 2) prioritizing funding for financially distressed communities in the form of grants via the Drinking Water SRF; 3) providing $50 million for the Water Infrastructure Finance and Innovation Act (WIFIA); and 4) establishing a federal low-income water and sewer assistance program, that is similar to the Low Income Home Energy Assistance Program, to help low-income households afford their water and sewer bills. - Invest in stronger, more resilient communities by updating outdated wastewater infrastructure by 1) providing at least $5.1 billion in appropriations for the Clean Water State Revolving Fund (SRF); 2) prioritizing financially distressed communities in the form of grants via the Clean Water SRF; 3) making funds available from the Clean Water SRF for operations and maintenance of green infrastructure, with priority given to financially distressed communities; 4) fully funding the Sewer Overflow Control Grants program at $225 million; and 5) fully funding the Innovative Water Infrastructure and Workforce Development Program created by America's Water Infrastructure Act of 2018. This $1 million competitive grants program would be administered by EPA and help develop the next generation of water utility workers. - Provide the U.S. Environmental Protection Agency with the funding and staff capacity necessary to fulfill its duties to protect water for humans and wildlife. - Provide at least $300 million for the Great Lakes Restoration Initiative. - Provide funding for other agencies and programs that are critical to protecting and restoring the Great Lakes. A number of specific programs are outlined in the Alliance's 2019 Federal Policy Priorities. - Fight nutrient pollution that causes harmful algal blooms, dead zones, closed beaches, and threats to drinking water by 1) fully funding Farm Bill Conservation Programs authorized in the Agricultural Improvement Act of 2018; 2) supporting Great Lakes states and U.S. EPA in adopting a Clean Water Act Total Maximum Daily Load (TMDL) for phosphorus and nitrogen pollution for the western Lake Erie basin; and 3) supporting the permanent authorization of and dedicated funding for the Land and Water Conservation Fund. The Great Lakes and clean water are critical to our regional economy and our way of life. With the support of Congress, the Great Lakes region has made major progress to restore and defend the lakes. But much more remains to be done to protect the Great Lakes for the people who live, work and play in the region. I urge you to prioritize these critical Great Lakes protection issues as you develop and consider legislation.